At Eyes on Redondo Optometry, Dr. Fouladian specializes in understanding how the human eye really works, as well as diseases that may affect your vision – many of which do not have obvious symptoms. Your South Bay eye doctor knows how age and risk factors affect vision over time for young and old, and they understand the benefits and features of corrective lenses including eyeglasses and contacts. Optometrist near you, Dr. Fouladian takes the time to explain the results of your eye exam, describe your options and listen to your eye care needs. Because maintaining good eye health is an ongoing partnership, we encourage you to ask questions and share your health information, which could be vital to monitoring, diagnosing and treating potential vision problems. 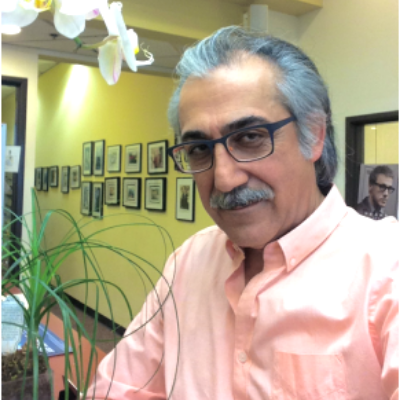 Dr. Fouladian received his Doctor of Optometry from Pacific University in Oregon in 1987. He completed his clinical training in primary eye care at the Pacific U. and the American Lake VA Hospital in the state of Washington. Dr. Fouladian enjoys all aspects of Optometric care, including comprehensive family eye care, ocular disease management such as Diabetic eye exams, specialty contact lens fitting, Keratoconus and surgical co-management for Lasik and Cataract. He takes great pride in providing high quality eye care for all his patients. His expertise has resulted in numerous referrals from Ophthalmologists as well as his current patients. In his spare time, he enjoys biking, skiing, kayaking and camping.